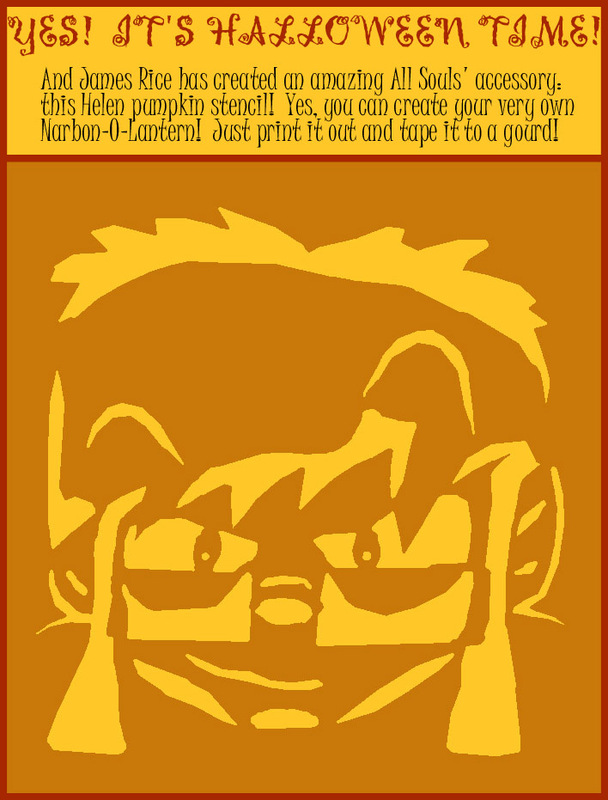 A friend of mine started carving elaborate jack-o-lanterns for Halloween, plus, the comic strip Tails From the Mynarski Forest was putting out pumpkin templates each year. Those two things inspired me to try making my own pumpkin carving templates. My first couple of templates really sucked, but I got better at them, and this one came out pretty good. I was as thrilled as Shaenon when people actually carved evil pumpkins with them. It’s true. I really was thrilled. I’m always delighted beyond reason when people make Narbonic stuff. And then Zoe Zandbergen gave me this drawing. Holy crud she is baking cookies. This is adorable. Thanks, Zoe! I like Evil Helen the Jack-O-Lantern. That’s right up there with a Tracer Bullet Jack-O-Lantern I saw once. Oh wow that’s freakin’ neat! Now throw the third switch, Igor! If you really like people making Narbonic stuff… I just had an urge to make a Narbonic-themed coffee-mug cosy. Can I? Are those cookies, or a microtiter plate? Or both? kicking_k: Well, sure, of course.